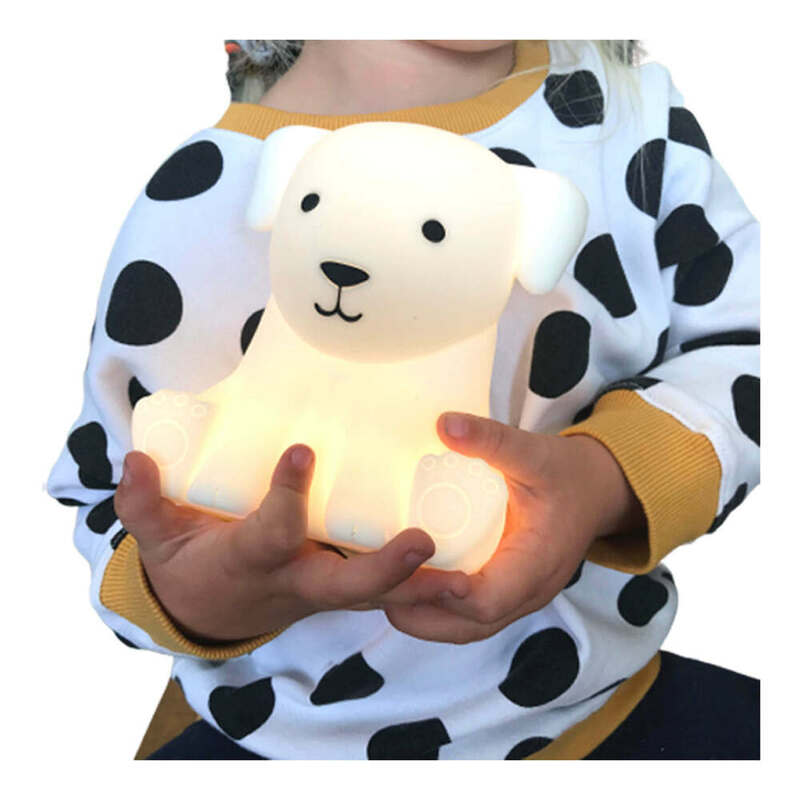 LED Touch Lamp Dog | A smiling light up puppy pal! 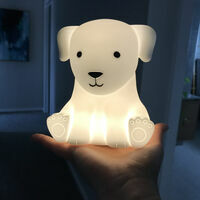 A smiling light up puppy pal! Delighting and comforting all puppy lovers! 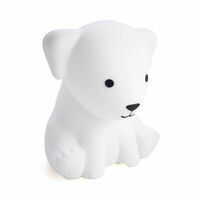 Here's one for all the little puppy-loving people in the world! This LED Touch Lamp Dog is a trusted and loyal buddy for your child at night. 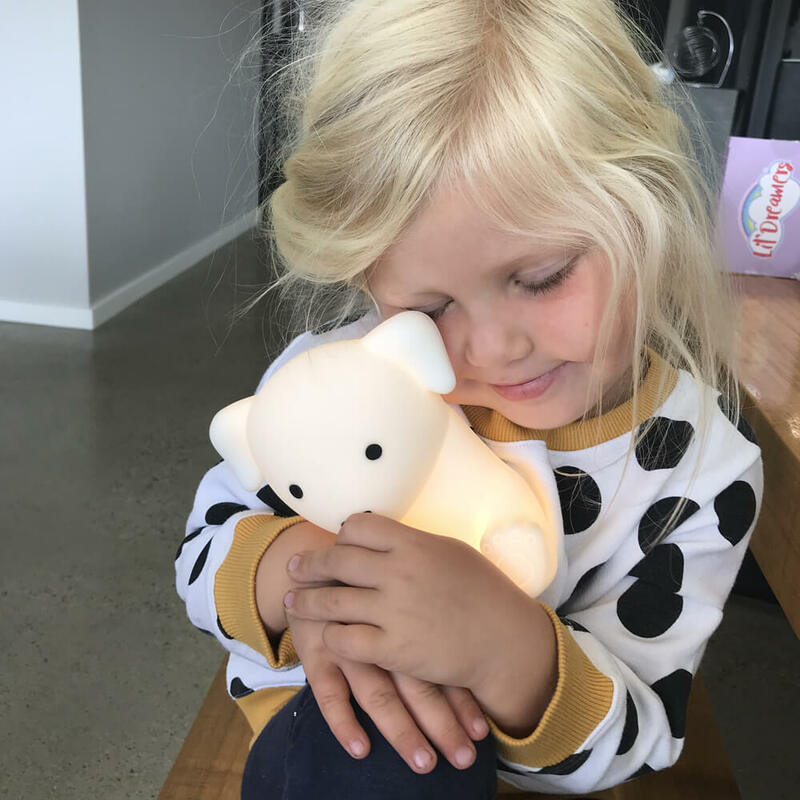 The soft warm glow will help your child to feel safe and loved in his company! He stays nice and cool to their touch, and has a smooth, squishy tactile feel when squeezed. 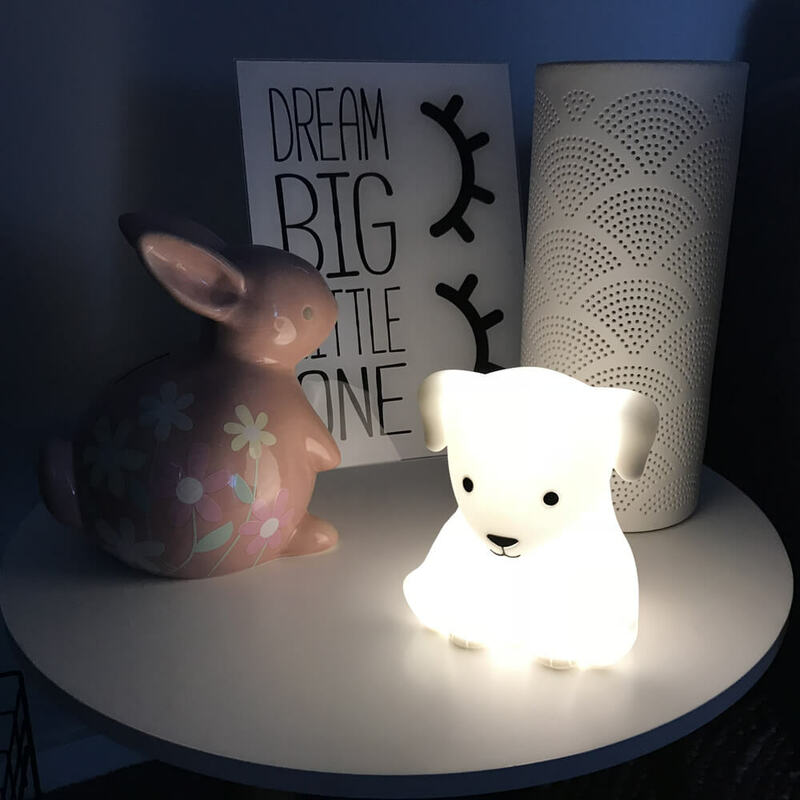 Simply touch your lamp to adjust the level of brigtness or switch it off when it's time to sleep. 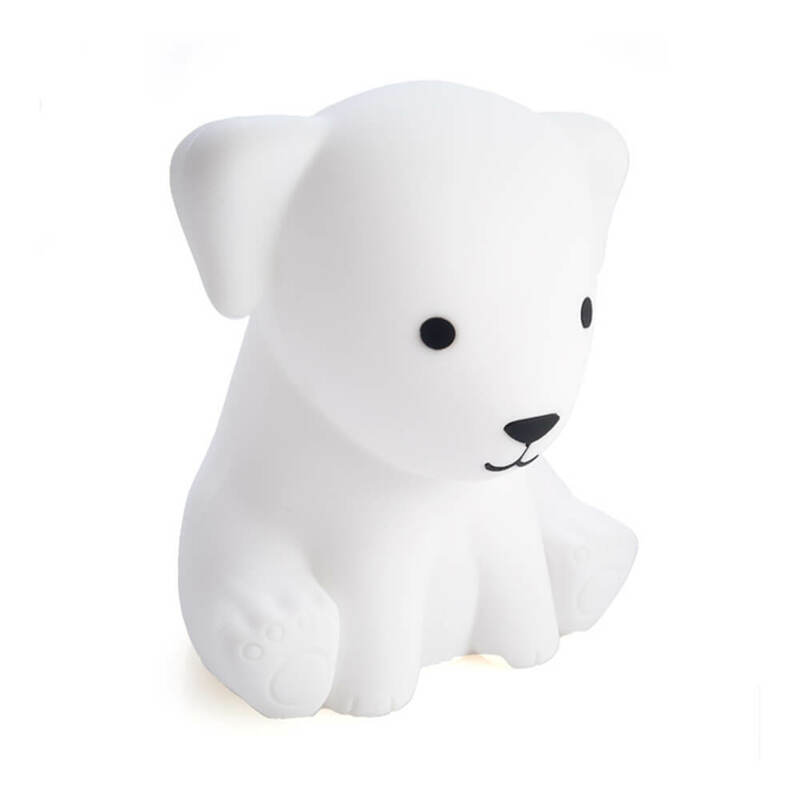 With an internal rechargeable battery and included USB cable, keep your pup full of life. Sweet dreams! 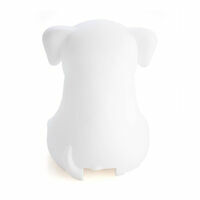 Dimensions: 14.5cm high x 10cm long x 11.5cm wide.